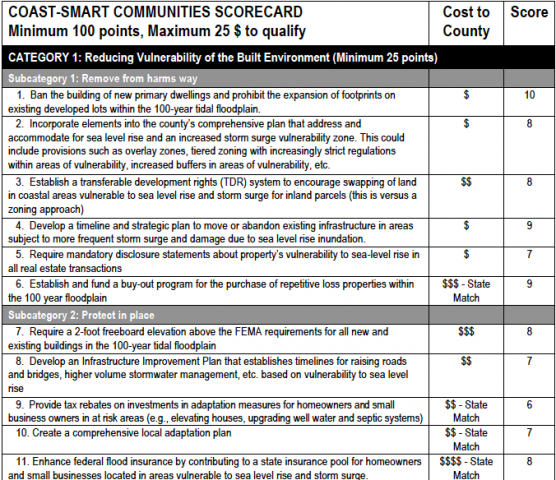 A role-play exercise designed to engage business, environmental, and government stakeholders in discussions about possible community responses to climate-related risks in coastal communities. The original role-play exercise, developed by the Maryland Department of Natural Resources, the Consensus Building Institute, and the MIT-USGS Science Impacts Collaborative, was held in April 2009 in Annapolis, MD. The 170 participants came from the Maryland business community, environmental organizations, and municipal, county, and state government. How will your coastal community adapt to rising seas, increased storm surge and diminishing fresh-water resources? This half-day role play helps begin that discussion at a local level. It’s fun, engaging and quickly introduces people to the challenges coastal communities face and main options for addressing them. Local government authorities, planning departments, chambers of commerce, civic groups and residents associations all could host this game in their communities. Materials are available free of charge on this website by clicking here.